Jeff Horst is Krevolin Horst’s senior litigator and “a go-to lawyer for referrals.” Jeff handles a wide variety of business related disputes in the areas of appeals, business torts, contracts, corporate governance, covenants not to compete, employment, entertainment, franchise, insurance coverage, intellectual property, officer and director liability, professional liability, securities litigation, shareholder disputes, and trade secrets. Jeff served as one of the principal trial counsel for the defense in Avnet, Inc. v. Wyle Labs., Inc. Avnet was seeking over $300 million in damages, and the case was tried for five months in Tampa, Florida. The jury reached a defense verdict which the National Law Journal selected as one of the top 10 defense verdicts. Jeff has tried cases in Alabama, Delaware, Florida, Georgia, and Texas, which have lasted from 2 days to 7 months. Jeff has been involved in a number of high profile matters that have been written about in the New York Times, Wall Street Journal, Atlanta Journal Constitution, Tampa Tribune, Raleigh News & Observer, National Law Journal, Fulton County Daily Report, the Atlanta Business Chronicle, and Gainesville Times (Georgia). Jeff also has a very successful track record for appeals winning over 80 percent. He has won three cases of first impression in the Georgia Supreme Court and one in the Georgia Court of Appeals. Jeff is a Fellow in the American Academy of Trial Counsel. Less than 1/2 of 1% of the lawyers in the United States are selected for this honor. 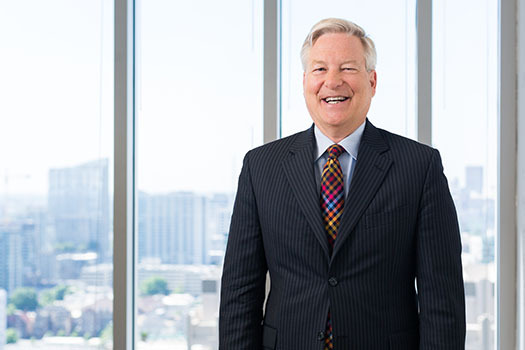 He was nominated by his peers and selected by Chambers USA: Leading Lawyers for Business 2008-2017 as one of the top business litigators in Atlanta. 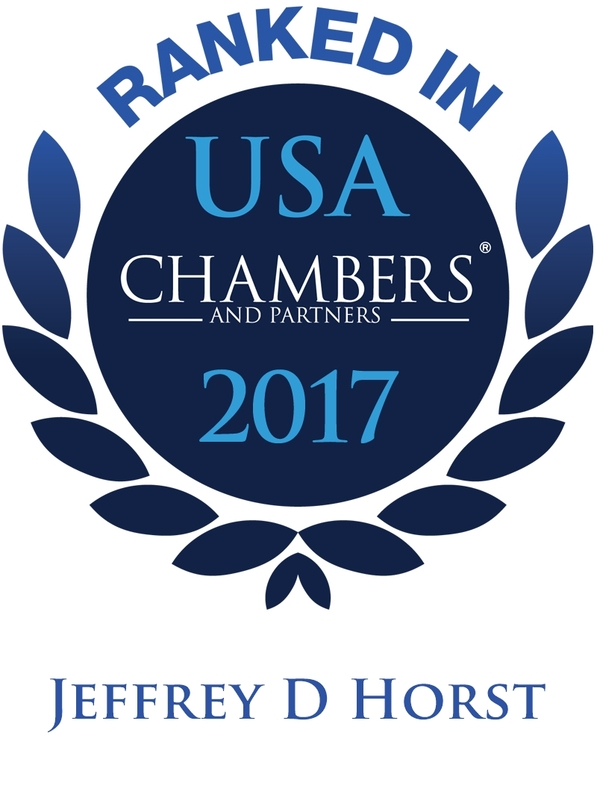 Chambers USA described Jeff as a “successful trial lawyer with a bright mind and independent style.” Jeff has also recently been selected by his peers as a 2017 Best Lawyer® in America for his excellence in the areas of commercial litigation and arbitration. 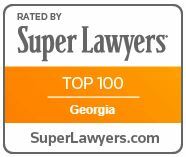 Also based on peer recommendations, Jeff has been selected multiple times by Georgia Trend Magazine’s Legal Elite as one of Georgia’s most effective lawyers. Typically, 35-40 lawyers are so designated for business litigation out of 37,000 Georgia lawyers. 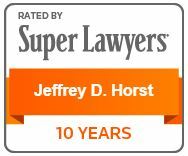 Jeff also has been selected every year since 2004 by Atlanta Magazine/Georgia Law & Politics/Super Lawyers as one of the top business litigators in Georgia. Chemence, Inc. v. MacDermid Printing Solutions, L.L.C. Three KH Partners Recognized as Leading Attorneys in the U.S. The Ohio State University College of Law, Columbus, Ohio, 1983, J.D. "Jeff Horst is one of the shining stars of high profile litigators in Atlanta for complex litigation, highly respected by not only those he represents, but those on the other side of his cases."